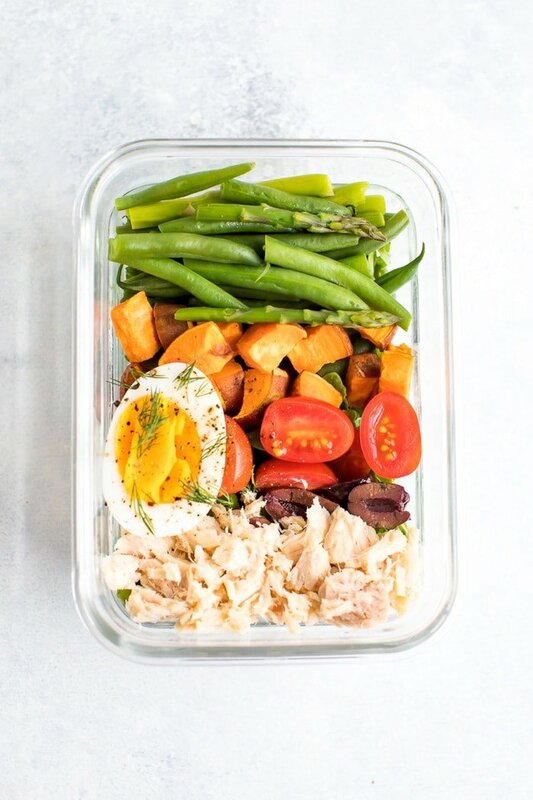 This nicoise salad can be meal prepped two ways: in a mason jar or a meal prep container. It’s filling, flavorful and loaded with protein but is still light and easy to digest. Don’t skip the fresh dill! Gluten-free. We made it to Friday! Day 5 of Salad Week! 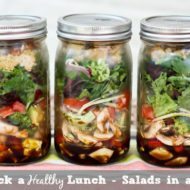 I have loved seeing all of your mason jar salads. Seriously, I do a little happy dance every time you post one of my recipes! Thanks for making my day (and week)! Keep tagging me @eatingbirdfood and hashtagging #saladeveryday. 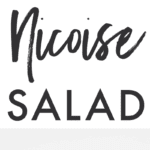 For some reason, I’ve always thought nicoise salads sounded so fancy. Maybe it’s because I never took French (I was a Spanish girl), or maybe it’s because I still question whether I’m pronouncing it correctly every time I say it. Either way, I’m always game for anything that makes me feel fancy but is actually super simple. You with me? 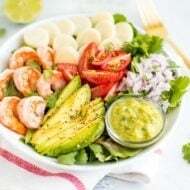 This salad screams spring and summer to me. 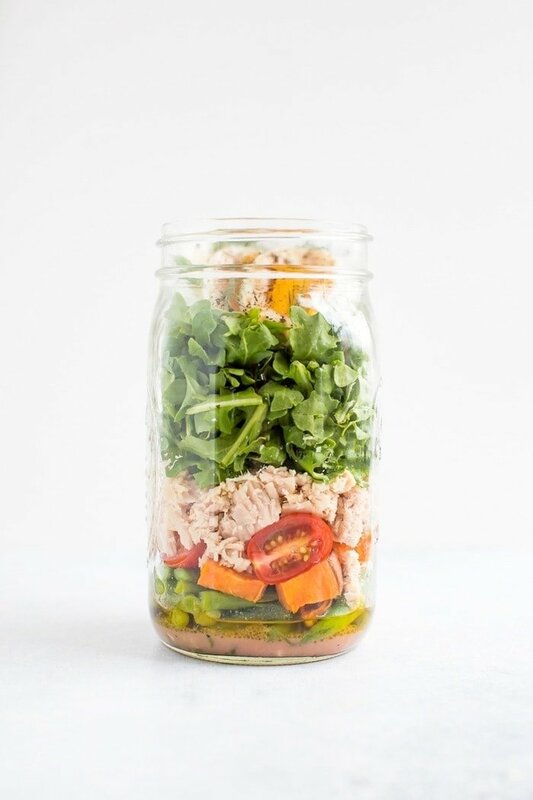 The veggies are so refreshing and the tuna gives it plenty of protein but still keeps it nice and light. 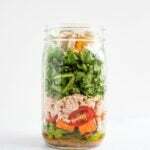 I can’t wait to pack up this salad for a bike ride or park day with Isaac! I also have to note that you can’t skip the fresh dill because it takes this nicoise salad to the next level. 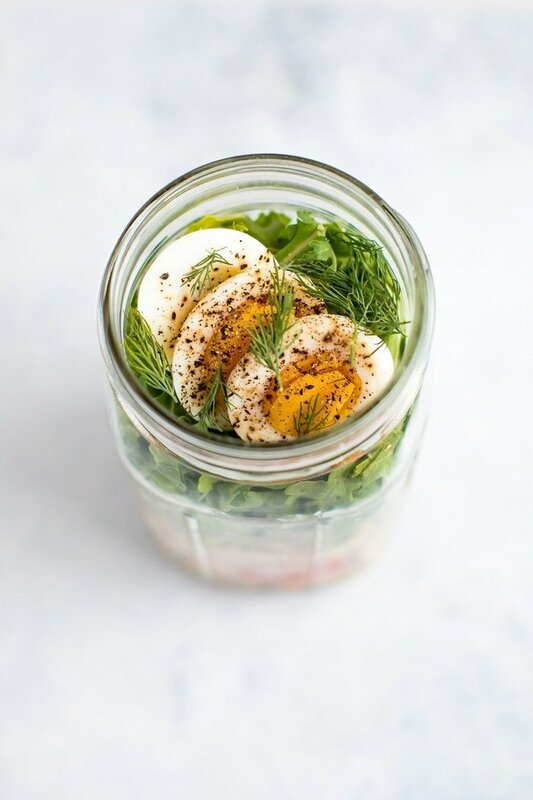 Although, I’ll be honest — I think fresh dill takes all salads to the next level! We literally just planted a little herb garden with dill on our back deck, so you can expect to see lots of dill action on the blog this summer! How did this salad challenge go for you? Are you on the #saladeveryday train? Who’s going to keep up with this habit over the next few months? 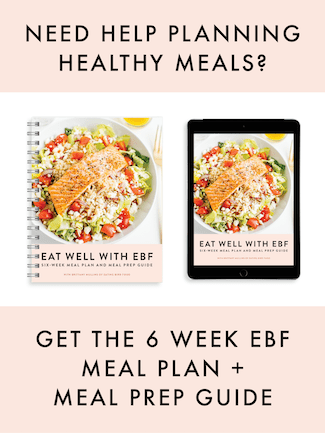 I know I’ll be doing it all summer because I truly love the way it makes me feel and it totally simplifies my healthy eating routine. 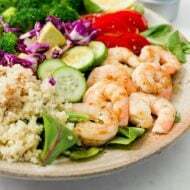 I’m so excited because I’m currently working on a new salad-focused program you can use any time you feel like you need a reset — maybe after an indulgent vacation or weekend, before a big event or just any time you want to get back on track with healthy eating. I’m still building out the content for the program and testing it out on myself so I’ll be sharing more details soon! Can’t wait. Spread chopped sweet potatoes on a baking sheet with 1 teaspoon of oil. Toss and then roast for about 20-30 minutes or until tender. Note: you can also steam the sweet potatoes if you’d like! While the potatoes are roasting, set a steamer basket insert into a large saucepan and fill with water just below the steamer. Bring to a boil. Add green beans and asparagus, and steam for approximately 5 minutes (or until desired level of tenderness). Let all the veggies cool. 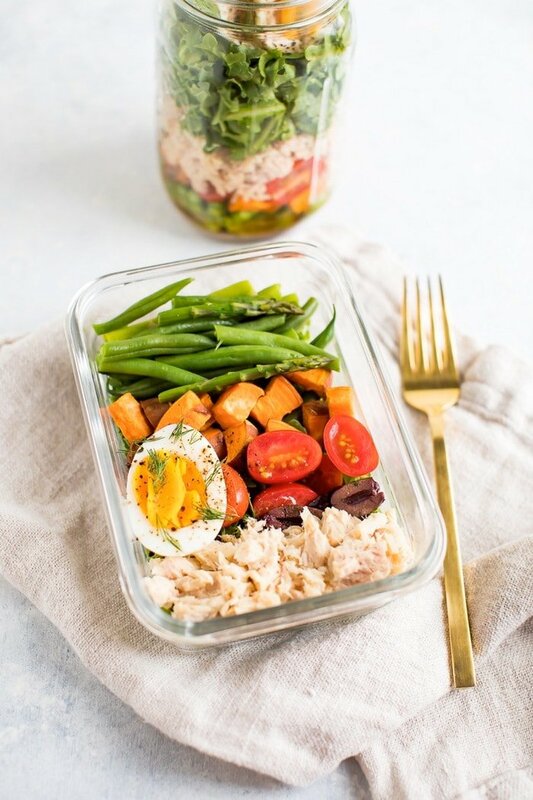 For a mason jar: Add 2-3 Tablespoons of dressing into a large, wide-mouth mason jar, then start layering ingredients in this order: olives, green beans, asparagus, sweet potatoes, tomatoes, canned tuna, arugula, hard-boiled egg, dill. 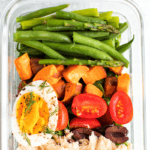 For a meal prep container: Line bottom of container with arugula and layer all ingredients in columns/sections on top. Store dressing in a separate container.